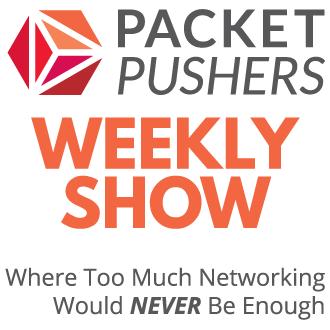 You are here: Home / Blog / Packet Pushers – Show 58 – The Packet Speaks! In show 58, recorded August 27, 2011, Ethan Banks is joined by Tom Hollingsworth, Erik Peterson, and Amy Arnold for the Packet Pushers’ first discussion about voice technology. Think of this as a foundational show that will ramp you up if you’re a network engineer that doesn’t deal with voice much beyond a QoS policy tweak here and there. I apologize in advance for any coughing/sniffling/clicking/crickets/hurricanes you notice. It seems this week’s Skype upgrade broke my mute button, at least as related to my recording plug-in, so there’s some environmental racket that wasn’t possible for me to edit out in this show. Cisco’s been talking up their Integrated Services Router 819, which they are tagging as a “machine to machine (M2M) gateway”. In ruggedized form, the 819 can take a bunch of abuse. Don’t try this at home, but definitely check out this video. Lots of fun. ComputerWorld talks about some IPv6 attacks that could ding you, even if you’re not an IPv6 shop. Why?Because you probably are an IPv6 shop, even if you don’t think you are. Steve Jobs leaves Apple, and Tim Cook takes the helm officially. We wish Steve extremely well with his health, and Tim incredible success in bringing us the next magical and revolutionary devices. Psst…hey, Tim – could you make the big MBP a little cheaper? Some of us have mortgages. Discussion – The Packet Speaks! Voice – the redheaded stepchild of the networking world. Or is it? Why should network geeks pay attention to voice technology? Let’s distinguish between voice and video. So I bought this fancy VoIP system for my business. I can dump my phone company now, right? How does a data T1 functionally differ from a voice T1? When I order a voice T1 from my provider, what am I actually ordering? We discuss CAS vs. PRI. Explain channelization of a voice T1 vs. a data T1…D-channels and B-channels, indeed. Why is planning for peak load so critical when deploying voice networks? What components take VoIP packets and turn them into TDM voice suitable for the plain old telephone system? 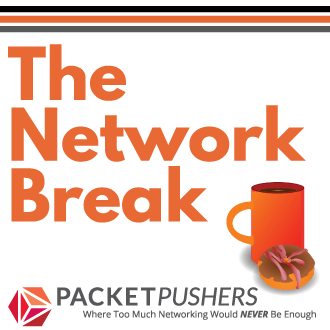 We discuss gateways and DSPs. Do I have to terminate my voice T1 on a router? Or can I terminate it on a call manager system directly? What codecs should be used for what situations? G.711, G.729, and G.722 are discussed. Let’s discuss vendor interoperability issues in the voice world. We mention a few religious discussions, proprietary vs. standard methodologies, and integrating a legacy PBX while migrating to a new VoIP system. The voice world is acronym heavy, but we take a stab a grouping them into signalling protocols and media protocols. You can subscribe to the Podcast RSS feed or head over to the Packet Pushers website to download the MP3 file directly from the blog post for that episode.